Take advantage of intelligent software for natural language processing, image analysis, predictive analytics, marketing personalization and more. Our team will guide you on the path to your custom AI software, from the business requirements gathering stage to user training and maintenance of the ready solution. Our AI consultants thoroughly analyze your requirements to help you develop an optimal AI strategy. Understanding challenges and opportunities that your organization faces, we will advise on the most efficient implementation of AI-powered software for you. Our team can either deliver full-cycle AI software development on a turnkey basis or help your in-house team at any stage of the project. Our skilled data scientists will leverage data processing frameworks and develop machine learning algorithms that are optimal for solving your business challenge. We conduct training sessions for your teams to ensure that they have all necessary knowledge about AI solutions they will be working with and skills to operate it. Software that mimics human intelligence in a way that allows it to make decisions and solve problems. 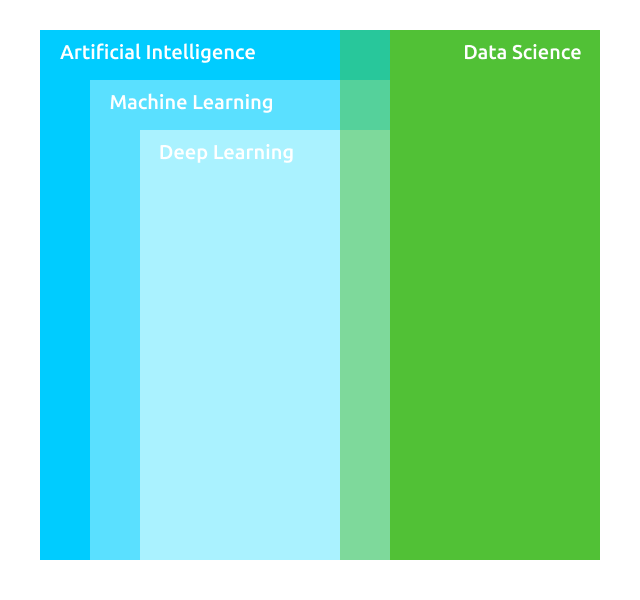 The engine of today’s AI is machine learning (ML). A set of techniques for processing, analyzing, and visualizing data. It can include machine learning at the analysis stage. A subset of complex machine learning models: recurrent neural networks (RNN), convolutional neural networks(CNN) and others. ML models are trained on large amounts of data to discover patterns underlying real-world problems. The models vary in complexity from linear regression to multi-layered (deep) neural networks. Create personalized marketing campaigns and recommendations. Studying users’ behavior on your website, the AI-powered marketing software will adjust your offering in the most relevant way for each particular customer. Going for AI software development, you can build a powerful analytical system to predict changes in sales and get ready to them beforehand as well as to design an optimal business strategy for the future. Find out how people feel towards your brand and each particular product. Leveraging the power of artificial intelligence solutions, you can classify customers’ comments on your products and services left across the internet as positive, negative, and neutral, or on a more detailed scale. Assess the risk of customer churn, identify risk factors, and prevent the attrition of your valuable clients with the power of machine learning. Create your own AI-enabled conversational agent with the help of speech recognition and generation models. Chatbots allow you to automate the most mundane part of customer support job leaving for people only those tasks that demand creativity, empathy, and human intelligence. Computer vision has a variety of applications, from optical character recognition to robotic vision. Check our page dedicated to this technology to find out the details. Fraud patterns are changing quickly and so should do fraud-prevention software. Being able to detect anomalies in user behavior instantly, ML-powered software battles fraud more efficiently than humans or rule-based systems. Facial recognition, voice identification, iris and retina scans, fingerscanning – all these technologies help to protect the user’s identity contributing to the overall security of your banking solution and increasing the clients’ trust. Machine learning make automated testing more accurate and allows for automation of software QA processes that were previously considered difficult to automate (such as UI testing). From rather simple rule-based systems to modern ML-based AI, any game needs a powerful computer “brain” able to make the player scratch their head. With a team of proficient AI developers, data scientists, engineers, and analysts in-house, we are ready to take on challenges of today’s artificial intelligence to produce accurate and feasible business results.